In yoga we often work both asymmetrically and symmetrically without even knowing why or realising that we are doing so. 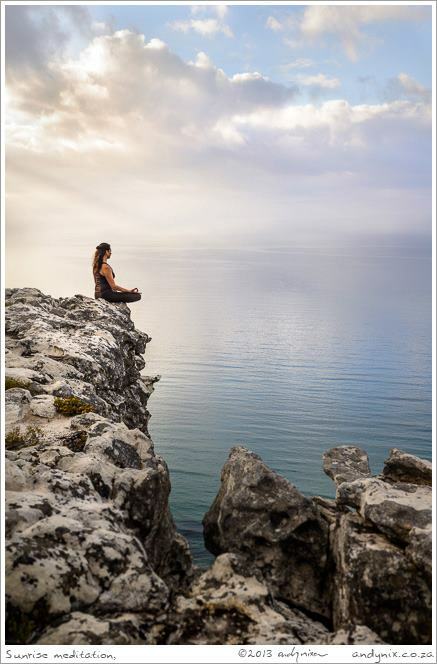 Taking a step back and watching ourselves in, not just our yoga practice, but in how we carry ourselves in daily life, can help us to understand some of our body twinges and imbalances, all we need to do is look, listen and feel. 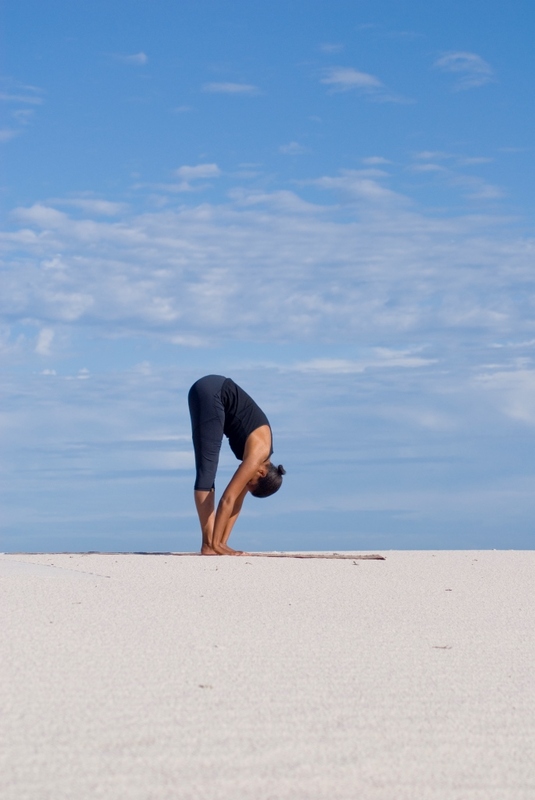 Symmetrical yoga postures, as we all know, are even postures where the same thing is happening on both sides of the body, like in Uttanasana, (Standing Forward Bend), this allows you to focus on your body as a whole and to connect deeply to how you feel. 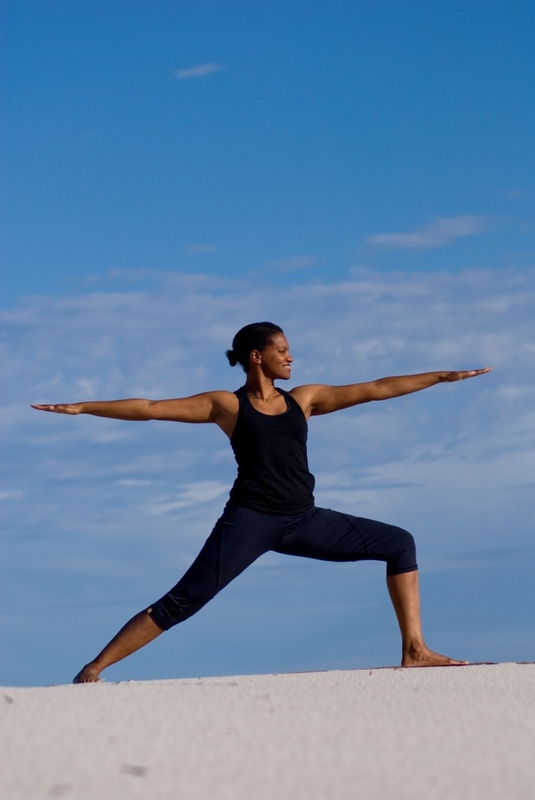 Asymmetrical postures are the opposite, where one half of the body is doing one thing and the other something else, like in Virabhadrasana II, (Warrior II), or Trikonasana, (Triangle Pose). This can help us to understand how the muscles and joints feel and if there is any difference between the two sides. In a therapeutic sense we can use asymmetrical postures to pick up areas of weakness vs strength, stress and strain vs fatigue, inflexibility vs over flexibility. Depending on the posture, we can do this by working the weaker/less flexible side twice or holding the posture for a longer period of time. For a quick example, relax your shoulders and as you exhale release your right ear to your right shoulder, inhale come back to the centre, exhale and take the left ear to the left shoulder. As you did this, did the two sides feel equal or did one side feel a little tighter? If there was a difference, then there may be an asymmetry in the neck and shoulder muscles, which means you may want to take the head back to the side where it felt tighter and hold it there for a few extra rounds of breathing. Recognising your asymmetries can help you on your path to creating a more symmetrical aligned body as you personalise your yoga practice. If you find that your right side is less flexible than the left, ensure you do two to three rounds of the dynamic version of the postures on that side, or hold the static version for 3 extra rounds of breathing. If you find that your forward bend come more easily than backbends, then try to increase the number of backbend in your practice while limiting the number of forward bends. Tuning in and connecting to how the body feels each time you get on the mat can help you personalise your yoga practice to suite your specific needs and to work with any imbalances. Never include more than two asymmetrical postures consecutively in any sequence unless the base is the same for a specific sequence or reason. Doing more than two asymmetrical postures in a row can lead to an imbalance where the one side can get overworked. Always ensure you do a symmetrical posture before and/or after an asymmetrical posture to bring you back to a state of equilibrium and balance.